This plant is localised and common on the coasts of south and west Britain. Although similar in appearance to Sea Spurge, it is often tinged red. 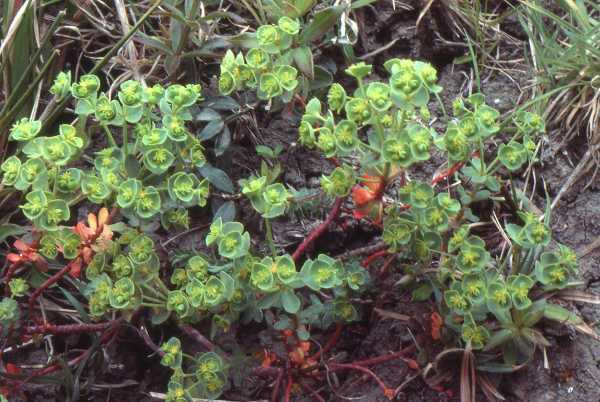 A member of the family Euphorbiacea, Portland Spurge flowers rather earlier than other spurges and can be seen in bloom from April until September. It is found on grassland and cliffs close to the sea and grows up to 40cm in height.